The Kershaw Corral Creek 3115 is a classically stylish design. 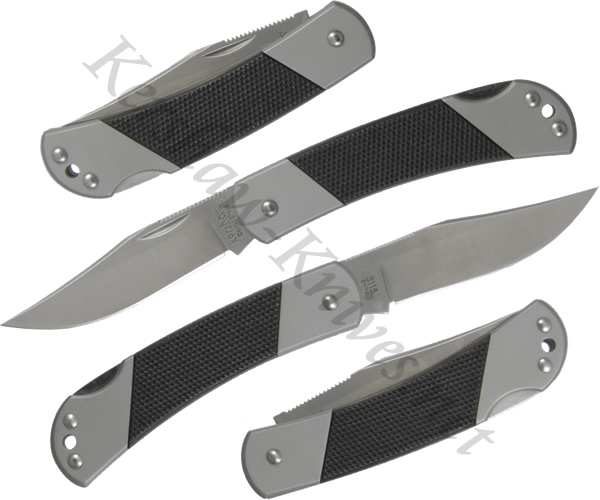 The 8Cr13MoV stainless steel blade has a satin finish that is carried over onto the handle bolsters. The handle is inlaid with cross-grooved ABS that fully complements the surrounding steel. Traditional design continues with the lockback mechanism and nail nick opening of the blade. The Kershaw Corral Creek 3115 is perfect for those who want a sophisticated upgrade to a classic design.